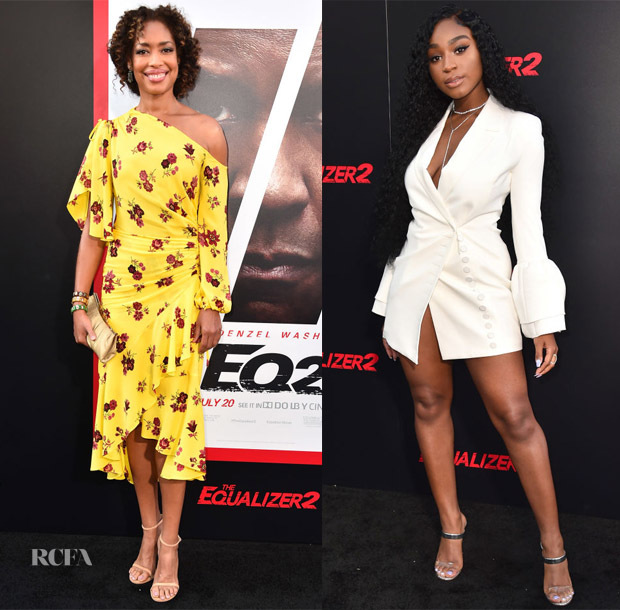 The premiere of Columbia Pictures’ ‘Equalizer 2’ took place on Tuesdasy (July 17) in Hollywood, California. Gina Torres: As you know from the royal wedding, I have always been mildly obsessed with Gina’s style. Admittedly, that was based on her character in ‘Suits’, but she’s yet to let me down on the red carpet. I’m excited to see that some celebs are still dressing for the current season. This A.L.C. floral dress was just the vibrant pop of colour this red carpet needed as the quintessential summer time dress. Normani Kordei: The singer displayed yet another reinvented blazer. 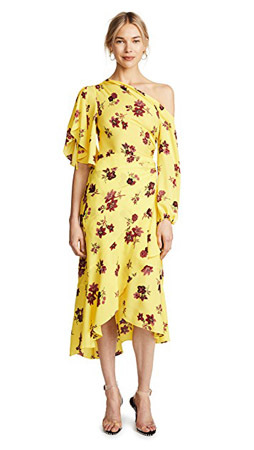 I love the bell-sleeves which make this Misha Collection design unique, but only doing up one button was a dangerous proposition and a wardrobe malfunction waiting to happen.